West Town Bank & Trust has four branches located in Illinois and North Carolina. They also offer their customers access to surcharge-free ATMs through their STAR network. Their offerings include business checking accounts, savings and investments, loans, merchant services, and business insurance. They are rated five stars on DepositAccounts.com and four stars on Bankrate. West Town Bank & Trust has two branches in Illinois and two branches in North Carolina. They also offer their customers access to hundreds of surcharge-free ATMs through their STAR network. You can use their branch locator to see which locations are closest to you. 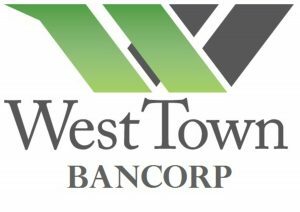 West Town Bank & Trust also offers the following business services: business savings and money market accounts, credit cards, lines and loans, SBA loans, and commercial real estate financing. They currently do not offer wealth management. Find out more about their small business offerings on their website.